Nowadays many people prefer to listen to articles instead of reading them. There are some who may have a weak eyesight vision or probably it gets really boring when you have to read all those long essays and stuff. And sometimes when we just read, we don’t know how to pronounce other words right, but when we just listen we can learn how to pronounce precisely. Listening is much more fun and can save time. Thanks to some websites that can convert texts into speeches, we can easily enjoy articles and not get bored or even get our eyes hurt from reading too much. 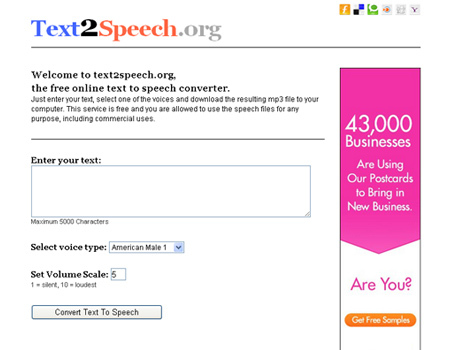 Here’s an Ultimate List of Websites That Convert Text To Speech for Free. You can now sit back, relax and enjoy listening to the things we want to ‘READ’. Have a good time listening! 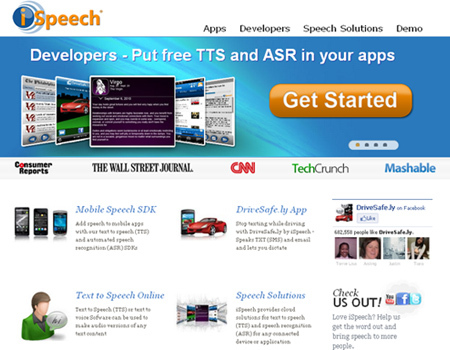 iSpeech free text to speech (TTS) and speech recognition (ASR) software which enable you to convert websites, RSS feeds, blogs and documents (Word, PDF, Excel, PowerPoint, Rich Text File, HTML etc.) to speech. 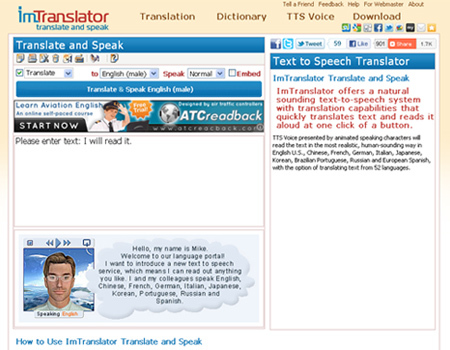 Text2Speech.org is a complete free service which converts a large amount of text quickly, but cannot listen to it online and need to download the MP3 file on your computer to listen to it. 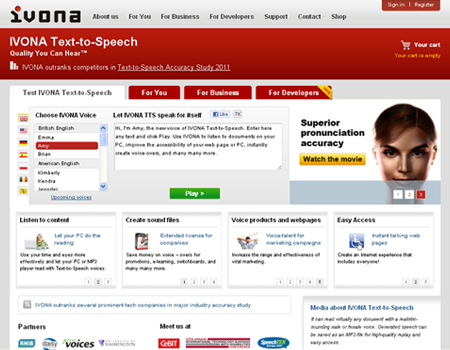 Ivona is a multi-lingual speech synthesis system which provides text-to-speech technology. 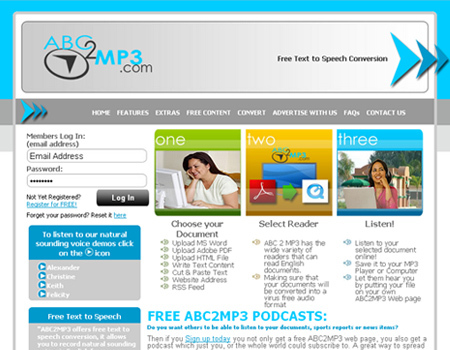 ABC2MP3.com is a free text to speech conversion tool which allows you to record natural sounding voices in English from your text. 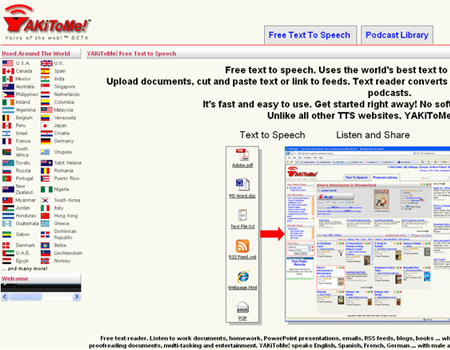 Balabolka is a text-to-speech software application which can save a text as an audio file for you, or split and convert it to several audio files. 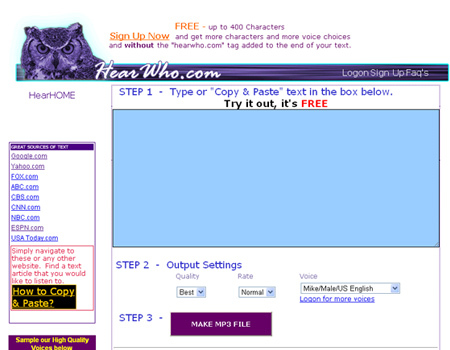 Hearwho.com is an online web application that converts text to speech and saves it as an MP3, WMA, WAV and many other file formats, so that you can listen to it on any device capable of. ReadTheWords is a free online service which allows you to enter text with the keyboard, to copy and paste it, or to upload text files in a variety of formats from your computer or from other websites. YakiToMe is a web-based text to speech application that allows you to take any electronic text and convert it to voice that can be played on any MP3 player. 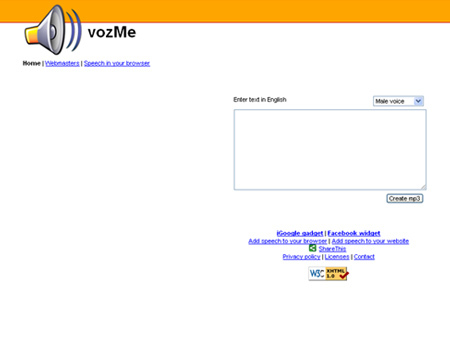 Vozme is a simple online ‘text to speech’ program that can easily convert written text into speech with male or female voice all for free. 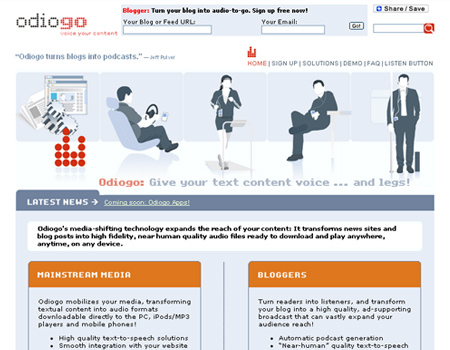 Odiogo is a text-to-speech converter that converts RSS feeds or articles into audio format. 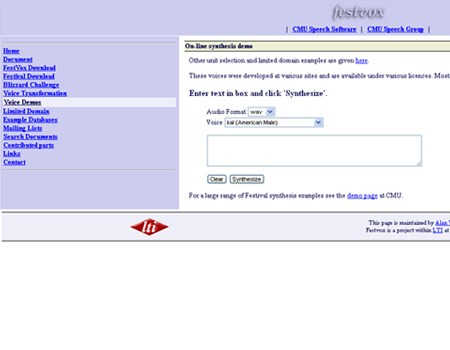 Festvox aims to make the building of new synthetic voices more systemic and better documented. 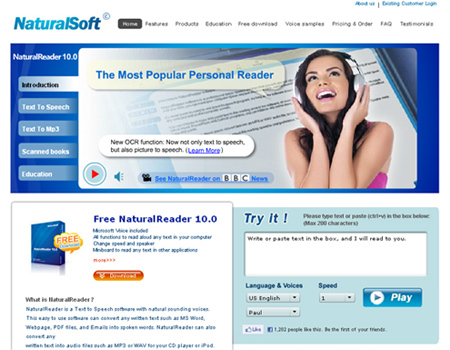 NaturalReader is a Text to Speech software which enables you to experience listening to any text on your PC. 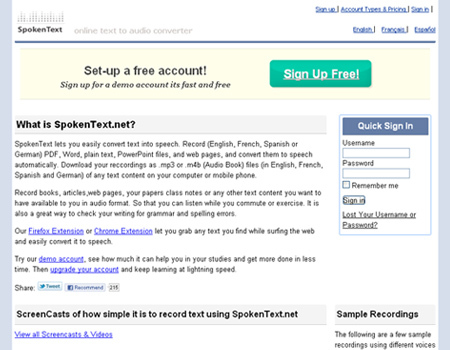 SpokenText is a fully-automated web-based text to speech converter that allows you to convert any text into clear natural sounding speech. 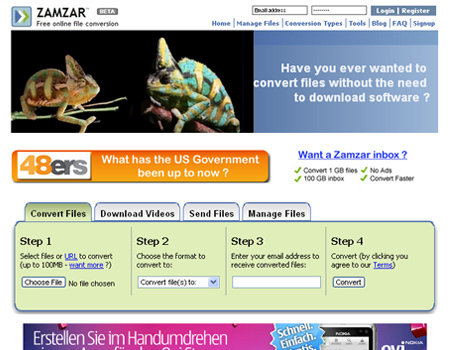 Zamzar is a web application that can convert your video, audio, images, and documents from nearly any format to nearly any format you like. 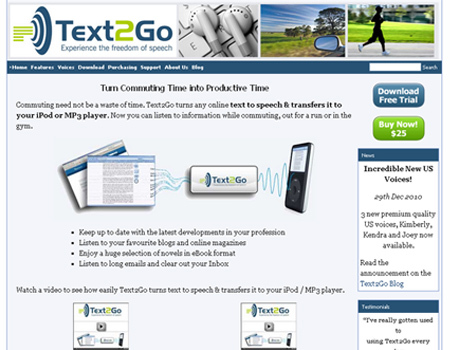 Text2Go is a Windows application that turns any online text to speech & transfers it to your iPod or MP3 Player. 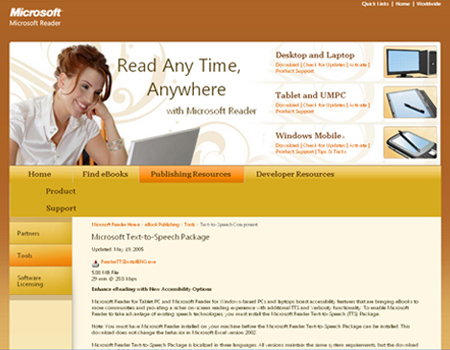 Microsoft Reader Text-to-Speech (TTS) Package is a free Windows add on which allows the operating system to play back text in a spoken voice. ImTranslator is a free online multilingual translation software designed to remove language barriers across the World Wide Web. 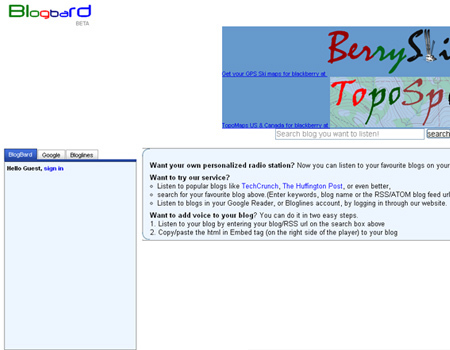 BblogBard is an online application which allows you to listen to your favourite blogs on your ipod, iPhone or Blackberry. 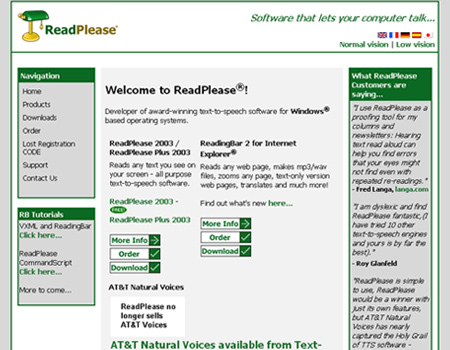 ReadPlease is text-to-speech software that can even read text from your clipboard, and is extremely easy to use.